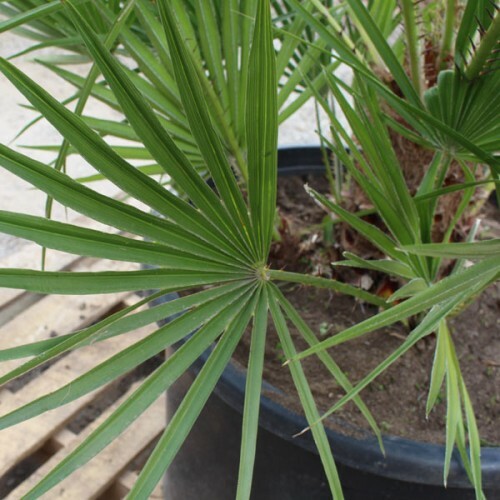 Mediterranean Fan Palms are known for their beauty, ruggedness, versatility, and drought resistance. 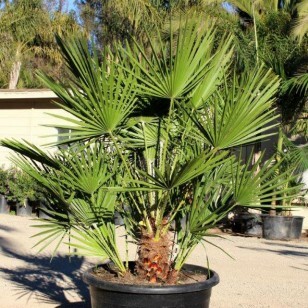 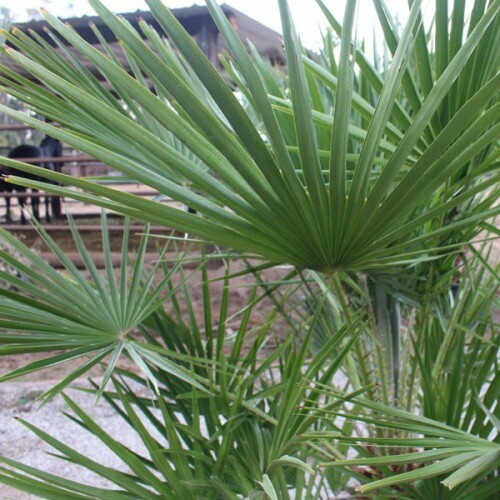 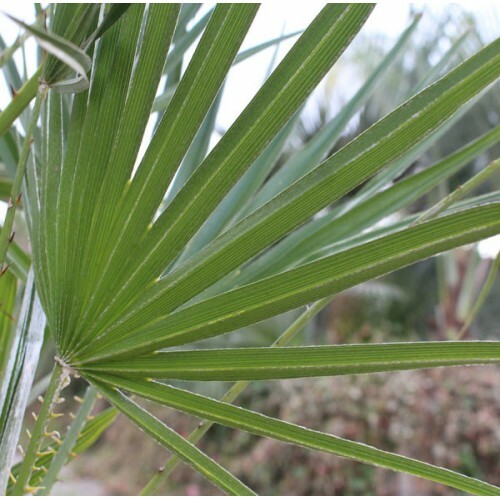 These cold-hardy palms grow fairly fast when supplied adequate moisture and fertilizer, as low as 20 degrees Fahrenheit. They tend to be 8 to 10 feet wide and 20 feet in height. 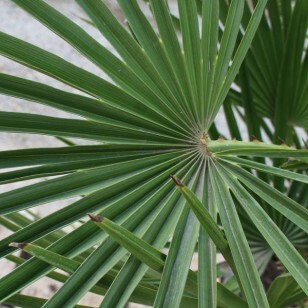 Their triangular fan shaped leaves range in color from blue-green to gray-green to grey-yellow on spiny leafstalks. Multiple trunks surround the main trunk, and as the palm grows larger the trunk tends to curve. 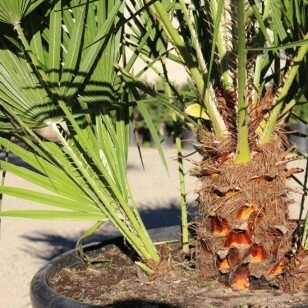 The Mediterranean Fan Palm can be drought-tolerant and is at its best in rich soil, with plenty of room and full sun exposure. 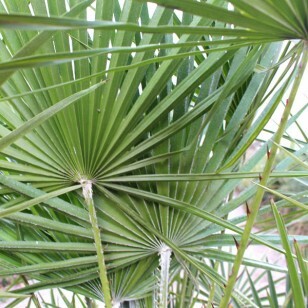 Lighting: Plant in partial to full sun. Soil: Prefers fertile, well drained soil once established.